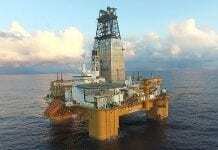 (Offshore Engineer) Iran signed a new contract to develop its South Pars gas field – the largest gas field in the world – with France’s Total and China’s CNPC on Monday. The move will be the first major Western energy investment since sanctions against Tehran were removed. Total is expected to invest up to US$5 billion to produce gas for the Iranian market from 2021, under the 20-year deal, which is also the first Iranian Petroleum Contract (IPC) signed in Iran. 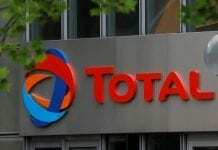 Total will hold 50.1% interest in the South Pars project with state-owned China National Petroleum Corp. owning 30% and Iran’s Petropars 19.9%. 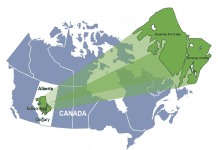 With 21 Tcf of gas in place, Wood Mackenzie estimates Phase 11 could recover more than 10 Tcf of sweetened gas and 450 MMbbl of condensate. 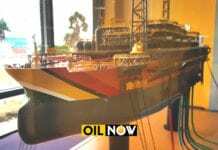 Total says South Pars 11 will be developed in two phases. 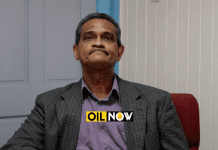 The first phase, estimated at $2 billion, will consist of 30 wells and two wellhead platforms connected to existing onshore treatment facilities by two subsea pipelines. At a later stage, once required by reservoir conditions, a second phase will be launched involving the construction of offshore compression facilities, a first on the South Pars field and potentially the largest in the Gulf region. 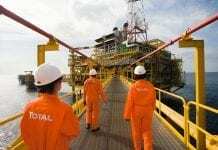 Total says the project will have a production capacity of 2 Bcf/d or 400,000 boe/d, including condensate. Homayoun Falakshahi, senior research analyst, Middle East and North Africa Upstream, at Wood Mackenzie, said: “Today is a huge day for Iran’s oil and gas industry, as the country signs its first-ever IPC – and seals its first upstream contract with foreign firms – in 10 years. 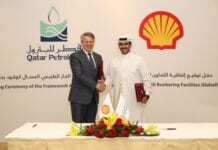 Last year, Total took over the control of the Al Shaheen field, offshore Qatar, which lies over the North Field – a part of the giant South Pars field which extends into Qatari waters. 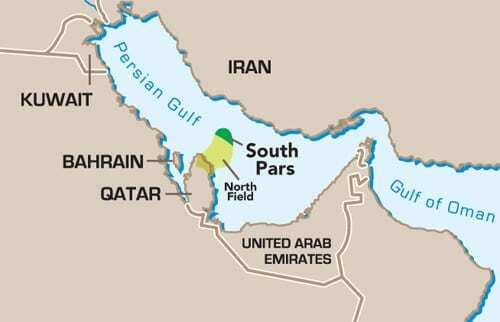 Taking on South Pars further boosts Total’s presence in the region, although Qatar is currently under pressure from fellow Gulf states, which accuse it of supporting terrorism. South Pars was first developed in the 1990s and Total was one of the biggest investors in Iran until international sanctions were imposed in 2006. Falakshahi says the deal is the result of four years of hard work for Rouhani’s administration. Rouhani and the negotiating team, lead by oil minister Bijan Zanganeh, have successfully brought IOCs back to Iran’s upstream for the long-term. “Rouhani and Zanganeh successfully balanced hardliners’ criticism with the need to draft an IPC which meets IOC investment criteria,” he says. Increased gas production opens new opportunities for piped exports and LNG, says Falakshahi. Iran started test exports to Iraq two weeks ago and, by 2019, could send up to 20 Bcm to its neighbour, he says. Iran LNG is the country’s only ongoing LNG project. More than $2 billion was invested in the 10.5 MTPA project under former President Mahmoud Ahmadinejad. Total expressed interest in relaunching in the project. The suite of international sanctions imposed on Iran in 2010 prompted the cancellation of three LNG projects, involving Total, Shell, Repsol, OMV and CNOOC. It is understood a number of IOCs are interested in revisiting Iranian LNG capability.